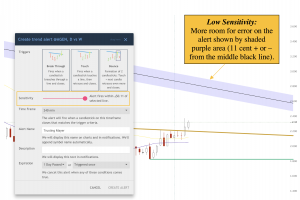 Figure 1: This image shows how to lower the sensitivity of the alert so you can have a “cushion” if the price doesn’t get exactly to the trendline. Figure 2: If you are one that like’s more conviction of price action, you may look for a more specific area to watch. 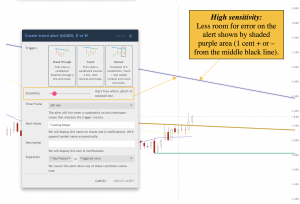 In this case, just move the sensitivity bar to the left to increase the sensitivity of the price alert area (purple shaded).